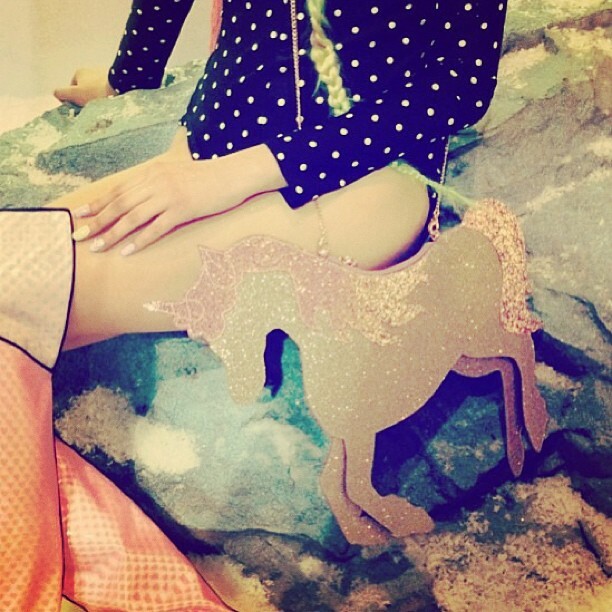 I’ve not followed much of London Fashion Week this year but I’d have to say my favourite thing that I’ve seen is Sophia Webster’s presentation and most of all this adorable unicorn bag. The models at the presentation were dressed as unicorns with multi-coloured hair styled into a unicorn horn and the theme was a magical woodland. I also am lusting over this rainbow clutch bag.